Were you diagnosed with Mesothelioma and Asbestosis? After your diagnosis, you likely felt compelled to inform your employer – especially because your condition could affect you in the workplace. How did you expect your employer to react after learning of your diagnosis? You might have expected your employer to be ready to provide you with reasonable accommodations. However, your employer might have reacted negatively. You might have experienced mistreatment followed by termination. Do you believe that you were terminated from your job as a direct result of your diagnosis of Mesothelioma or Asbestosis? If so, you might have grounds to take action against your employer. If you would like to explore the possibility of taking action against your employer to make sure that he or she is held accountable for illegally terminating you, do not hesitate to seek legal assistance as soon as possible. You should contact the Mesothelioma and Asbestosis wrongful termination attorneys at California Labor Law Employment Attorneys Group as soon as possible. Our wrongful termination lawyers have many years of experience handling a variety of employment claims, including wrongful termination claims based on medical conditions. If you are ready to discuss your unlawful termination claim with an employment attorney, do not hesitate to seek legal assistance as soon as possible. Mesothelioma and Asbestosis are medical conditions that are caused by exposure and inhalation of asbestos fibers. Although these medical conditions are similar in many ways, they are not the same disease. In general, Mesothelioma and Asbestosis result in many of the following symptoms: constant cough, shortness of breath, weight loss, and chest pain, for example. It can take anywhere from 10 to 40 years for these conditions to develop. Because Mesothelioma is a form of cancer, the symptoms mentioned above are likely to become more severe over time. Unfortunately, people diagnosed with Mesothelioma are given a life-expectancy of anywhere from 4 to 12 months. On the contrary, people diagnosed with Asbestosis have been known to live decades after being diagnosed. Although both diseases can be fatal, people with Asbestosis always have a higher life expectancy, but their quality of life is likely to continue decreasing/deteriorating as the disease worsens. Can an Employer Ever Fire an Employee Based on a Medical Condition? Without a doubt, it is usually illegal for an employer to fire an employee based on a medical condition. However, there is an exception. If an employee’s medical condition poses a threat in the workplace – to the employee him or herself and to other employees in the workplace. If the employee’s condition poses a risk to the employee and to other employees, the employer could legally terminate the employee after subjecting the employee to a thorough medical evaluation. In general, conditions that can result in loss of consciousness in workplaces in which dangerous equipment and heavy machinery are used could lead to terminations. For more information, do not hesitate to seek legal assistance as soon as possible. Were you terminated from your position even though your condition was under control? Do you believe that your employer terminated you unjustly? Wrongful termination occurs when an employer makes an employment decision based on discriminatory reasons – such as medical conditions, for example. If you believe that your termination was directly based on your medical condition rather than any other reason directly related to your work performance, you might have been wrongfully terminated. Do you have a case? If your employer illegally fired you based on a medical condition, you likely have grounds to pursue a claim. Depending on the specific details of your claim, you might also be eligible to receive compensation for your termination. For more information, do not hesitate to seek the expertise of the wrongful termination attorneys at California Labor Law Employment Attorneys Group today. What can you do after being wrongfully terminated from your job after being diagnosed with Mesothelioma or Asbestosis? Before moving forward, you must understand that being terminated due to a medical condition is illegal – and you have the right to take action after your employer if you are unlawfully terminated. As an employee, there are multiple options available to you. You have the right to file a charge with the Equal Employment Opportunity Commission (EEOC). You have 300 days to file a charge with the EEOC. You have the right to file a charge with the Department of Fair Employment and Housing (DFEH). You have 1 year to file a charge with the DFEH. You have the right to file a civil lawsuit against your employer. You must first receive the right to sue from either the EEOC or the DFEH. After granting the right to sue, the EEOC allows 90 days to file a civil lawsuit, and the DFEH allows 1 year to file a civil lawsuit. If you would like to learn more about the action that you could take against your employer after you were terminated based on your Mesothelioma or Asbestosis diagnosis, do not hesitate to seek legal assistance with the employment experts at California Labor Law Employment Attorneys Group as soon as possible. Our experts are ready to provide you with the legal guidance that you need to hold your employer accountable for your wrongful termination. What Compensation Could You Recover? Lost income: compensation for all the income lost directly due to the termination suffered. Compensation for lost income includes both pack pay and front pay. Lost benefits: compensation for all the benefits lost after being terminated. Some of these benefits could include health insurance and accessibility to certain medical care, for example. Pain and suffering: compensation for the mental and emotional anguish (including but not limited to depression, anxiety, embarrassment, fear, etc.) directly caused by your termination. Punitive damages: compensation awarded to punish the employer for illegally terminating their employees. Punitive damages are designed to deter similar actions from reoccurring. For more information about the compensation that you could recover, do not hesitate to seek legal assistance as soon as possible. When you contact the Mesothelioma and Asbestosis wrongful termination lawyers at our firm, you can trust that there will always be someone looking out for your best interests, fighting for your right to recover the maximum amount of compensation available for your termination claim. If you would like our lawyers to evaluate your claim and help you better understand the compensation that you might recover, do not hesitate to contact California Labor Law Employment Attorneys Group at your earliest convenience. Were you fired after being diagnosed with Mesothelioma or Asbestosis? If so, you might have grounds to pursue a wrongful termination claim against your employer. 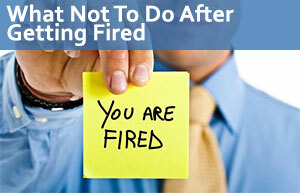 Firing an employee due to a medical condition is illegal under most circumstances. If you believe that your termination was unlawful, do not hesitate to seek legal assistance as soon as possible. If you are interested in pursuing a wrongful termination claim against your employer, you should contact the employment experts at California Labor Law Employment Attorneys Group as soon as possible. California Labor Law Employment Attorneys Group is an employment law firm with many years of experience handling a variety of employment claims, including the claims that arise from termination based on medical conditions. If you believe that you were fired due to your Mesothelioma or Asbestosis, you could trust the knowledgeable lawyers at California Labor Law Employment Attorneys Group to handle your claim and provide you with the insight that you need to take action against your employer. If you would like to discuss your claim with the attorneys at our firm, contact us today. When you contact the employment experts at California Labor Law Employment Attorneys Group, you can be certain that you will have access to all the information that you need to start or continue your claim against your employer after being wrongfully terminated based on your Mesothelioma or Asbestosis diagnosis. At our law firm, we understand that even thinking about taking legal action can be stressful – especially considering that unemployed individuals might not be able to afford expensive legal fees to speak to a lawyer. To ensure that all our clients have access to the legal assistance that they need, our law firm offers both free consultations and free second opinions. During our free consultations and free second opinions, our Mesothelioma and Asbestosis termination attorneys will be available to answer all your questions and address all your concerns, ensuring that you have access to all the information that you need to take action against your employer. If you would like to schedule a free consultation or free second opinion to start or continue your claim against your employer, do not hesitate to contact our law firm at your earliest convenience. Our employment attorneys are ready to provide you with all the information that you need to file a claim against your employer for wrongful termination. The free legal services mentioned above are available as part of our Zero-Fee guarantee. Our Zero-Fee guarantee ensures that our clients never have to worry about paying any upfront fees for any of our legal services. Our law firm is also based on contingency; you will not have to worry about paying anything until after your claim reaches a successful outcome. If you would like to discuss your Mesothelioma or Asbestosis wrongful termination claim with the lawyers at our firm, contact California Labor Law Employment Attorneys Group today.